SINDHUPALCHOWK, Feb 15: Following complaints of financial irregularities in various NGOs and INGOs involved in post-earthquake reconstruction works in Sindhupalchowk, the Public Accounts Committee (PAC) of parliament has started an investigation into the matter. 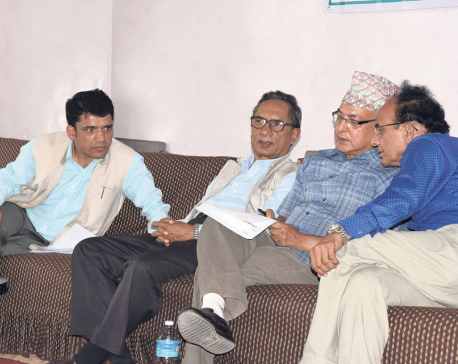 A sub-committee of PAC led by lawmaker Usha Gurung has consulted officials of the District Natural Disaster Relief Committee, leaders of political parties and civil society leaders regarding the alleged wrong doings of I (NGOs) in the district. “After the investigation, we will submit the report to PAC AND will recommend actions to be taken if any wrong doing is found,” said Gurung. Gurung informed Republica that an investigation was launched after complaints were lodged at PAC against Lutheran World Federation (LWF), an INGO. According to Dimpal Kumari Jha, another member of the probe panel, complaints have been filed against LWF, accusing it of claiming to have completed 95 reconstruction works on its websites without actually completing the task on the ground. Similarly, LWF has also been accused of being engaged in religious conversion in the name of post-earthquake reconstruction. LWF, according to lawmaker Jha, had formulated a work plan of constructing a model village at the cost of Rs 1.50 billion but the project has seen no progress. “The complaint claims that Christian aid is being used for religious conversion,” said Jha. LWF has been working in Sindhupalchok, Dolakha, Bhaktapur, Nuwakot, Rasuwa, Dhading and Kathmandu districts. Gurung informed Republica that the committee will begin field inspection of LWF works soon. CDO Shahi accused the NGOs working in the field of post-earthquake reconstruction of exercising a parallel government. 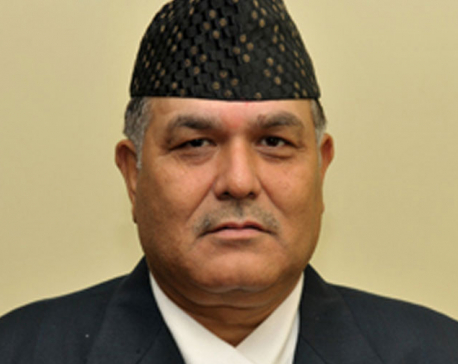 He informed Republica that out of 125 organizations, 25 have disappeared. According to the District Disaster Relief Committee, 102 organizations have submitted the schedule of programs but only 56 of them have mentioned the expenses. As per the reports submitted by the organizations, the total amount allocated for the earthquake victims is more than Rs 4 billion. In addition to that, more than four dozen such organizations are conducting programs worth more than Rs 4. “There have been several complaints about irregularities in I/NGO spending for post-quake reconstruction but no one has been able to take action against them so far,” Shahi said. The probe committee has said that it will investigate other organizations as well. The committee members have received verbal and written complaints against the organizations in course of their field investigations. At an interaction organized at the CDO office in the presence of various stakeholders, most of the participants raised the issues of irregularities at Plan International, World Vision, Nepal Red Cross Society and many other organizations. They urged the committee to investigate these organizations.